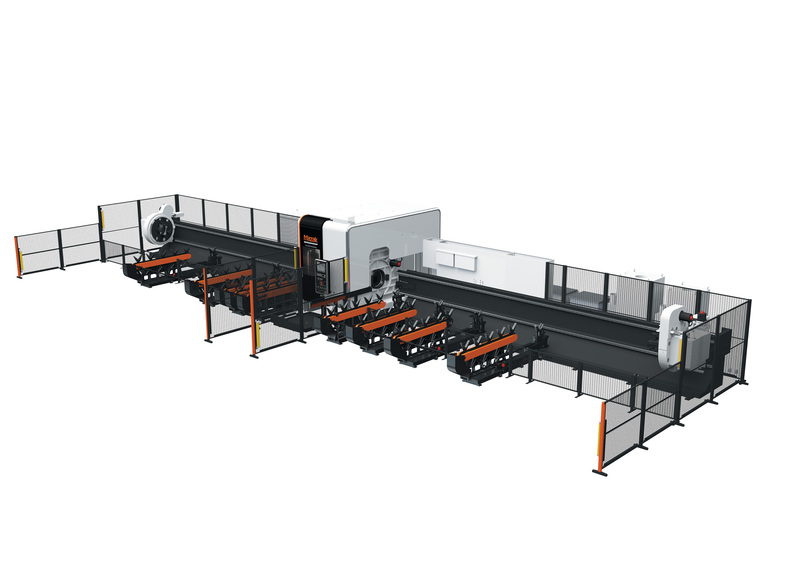 Yamazaki Mazak is gearing up for Tube Düsseldorf with two state-of-the-art laser cutting machines ideally suited to tube and pipe cutting applications. The Mazak stand, situated in Hall 6 stand number E20, will showcase the company’s largest laser 3D cutting machine, the 3D FABRI GEAR 220 II, alongside the SPACE GEAR 510 MK II, an all-in-one 2D/3D laser processing machine. The Mazak stand will be themed “It’s all about you” which references the company’s continued commitment to delivering machining and laser cutting solutions that address specific customer needs and applications. The 3D FABRI GEAR 220 II is an automatic 3D laser cutting solution specifically designed for long, heavy tube and profile work, often used in the construction industry to create building structures, heating and ventilation systems, and cranes. It has been used in a number of highly prestigious construction projects including the Yas Marina Formula One circuit in Abu Dhabi, the national football stadium in Gdansk, Poland, and the Tokyo Sky Tree, the world’s tallest broadcast tower. The FABRI GEAR cuts a wide variety of tube, including round, square, rectangular and triangular, and is equipped with a unique four chuck design that rigidly holds the workpiece in place during the cutting process. The laser cutter is equipped with a 3D torch, enabling movement on five different axes, ensuring the accurate cutting of both closed and open profiles. The 3D FABRI GEAR delivers industry-leading levels of accuracy by cutting vertically, which enables the metal tubes sit flush against each other with no gaps during assembly. This reduces the need for jigs to hold the cut metal in place prior to welding and reduces the amount of weld material, which cuts weld-time. Mazak estimate that tube cut with the 3D FABRI GEAR can be welded and assembled twice as fast as conventionally cut tube. Alongside the FABRI GEAR, Mazak will be displaying the SPACE GEAR 510 MK II, an all-in-one 2D/3D processing machine which is capable of cutting 2D flat worksheets, 3D workpieces and pipe. The SPACE GEAR is equipped with six axes and an integrated chuck which enables the cutting of a wide variety of features, such as weld preps and angles, in a single setup. In addition, the laser cutter is equipped with a constant beam length system that provides stable cutting performance. Outstanding cutting speeds are guaranteed with a cutting feed rate of 15m/min and rapid traverse rates of 24m/min in the X-, Y- and Z-axes. The machine can be used on workpiece sizes up to 3,500mm x 1,525mm.